Deepak is our colleague and friend. He met with a tragic accident against a lorry hitting his car when he was in his home town to celebrate his first Diwali post marriage. He sustained head injuries, multiple fractures in the shoulder, pelvis and knee, broken pieces of glass in the face and injury to the lungs. Deepak is currently undergoing intensive treatment at Kovai Medical Center and Hospital at Coimbatore. His family is incurring an expense of about INR1.25 lakhs a day towards ICU expenses and medicines. He is the only son and the sole bread winner of the family. 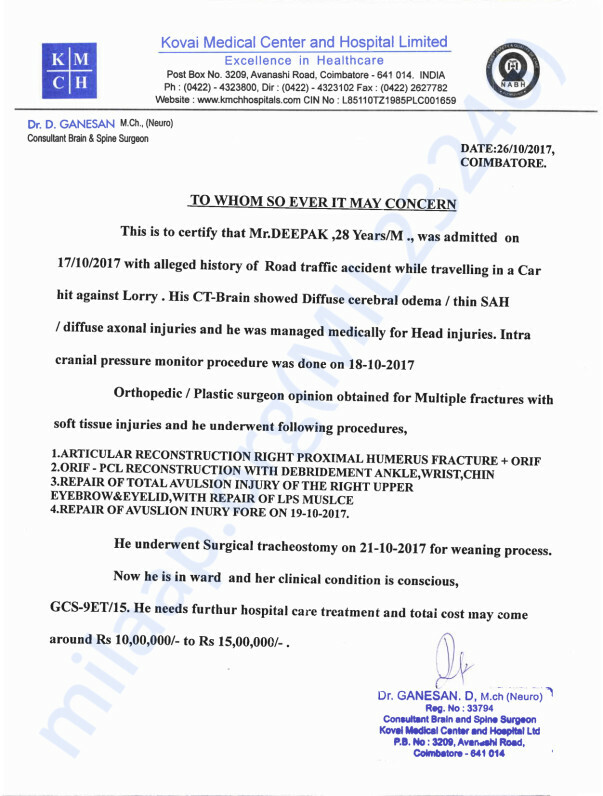 His office medical insurance does not cover more than INR 2 lakhs, and his current expenses have already crossed INR 9 lakhs. It is expected that he might incur additional INR.10-15 lakhs as medical expenses which his family is unable to bear. We are trying to help him as much as possible with funds and any other help necessary but we couldn't meet all his financial needs. We are friends and colleagues of Deepak raising funds for his treatment to help him make a full recovery. 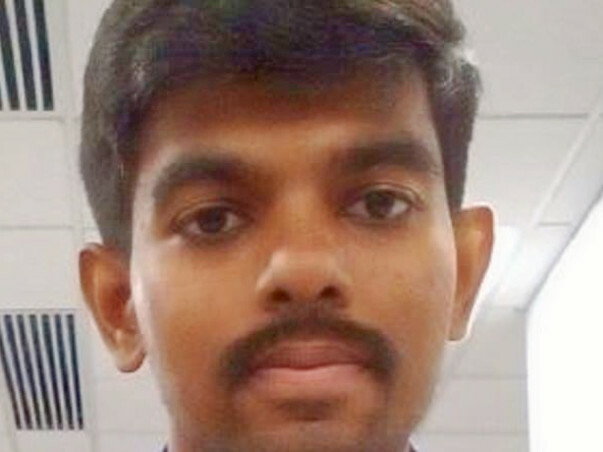 Deepak is well acknowledged by our team for his good character and technical expertise in android development. He is married 5 months ago and his wife is currently in early pregnancy. All funds raised will be directly transferred to his family and we will update you as and when his condition improves. Let us all pray for his full and speedy recovery. Here is an update on Deepak. Deepak is currently doing well and has been discharged 4 days ago. He is currently under treatment at home. His tracheostomy tube has been removed and he is currently recovering at home. Currently suffering from intermittent memory loss and it is anticipated to subside with further treatment and time. He is expected to be back to normal in a span of 6 months considering orthopedic surgeries underwent. Thank you for your support and love extended for Deepak. Thank you so much for your kindness in helping Deepak. Currently, we have received sufficient funds to manage his hospitalization and post hospitalization expenses. Deepak is currently recovering fast in the ward and he is expected to be free from the tracheostomy tube in a week. However, he is suffering from frequent memory loss which we hope would subside. Thank you all once again for your support and compassion. We will keep you posted with updates about Deepak's recovery. Please do pray for his speedy recovery.